If there is one thing I know for sure, it’s that Louisiana LOVES gumbo. Can you blame us? The flavors may vary: juicy shrimp, sweet crabmeat, spicy andouille sausage or rich duck meat. As long as it starts with a dark roux and is served over fresh rice with a side of potato salad – we’re a happy. 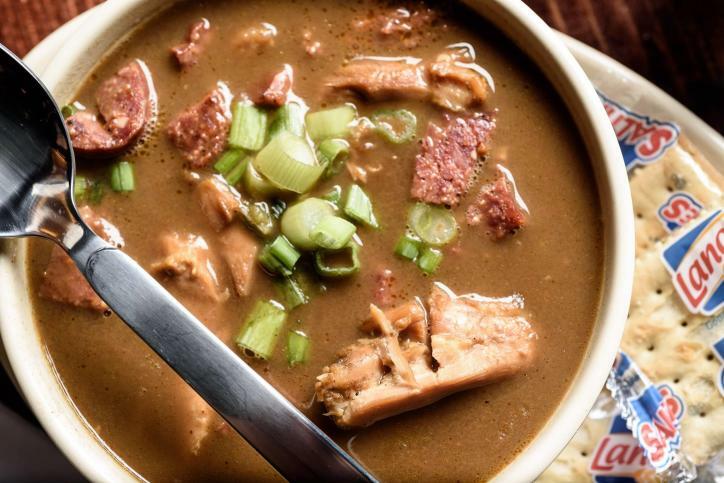 We went to Trip Advisor to see where the locals and visitors are going to find the best bowl (or pot) of gumbo. Grab your spoons – it’s gumbo time! Authentic Cajun food. Everything seasoned perfectly. My husband especially likes their chicken sausage gumbo... Atmosphere friendly and the wait staff friendly also. Not a real fancy place, so you can dine in shorts and your casuals. The gumbo is great. Cute place, lovely staff. Easy off/on Interstate 10. Definitely worth the stop. 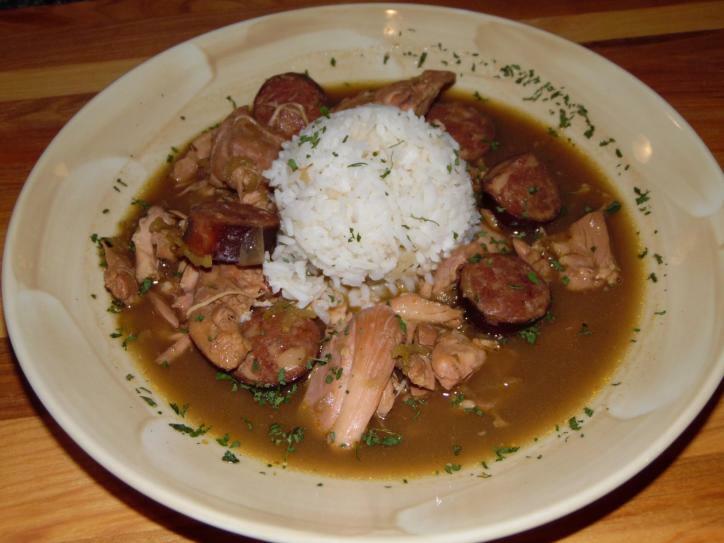 Gumbo, po&apos;boys, burgers and kids menu every day, plus daily specials. Just ate gumbo but it was so oooh good. The tea was also good. Since moving to Lake Charles I have tried a lot of gumbo and this is some of the best. The service is always very good. Make sure you get there early because it gets busy. ...My wife got the shrimp po&apos;boy and cup of seafood gumbo and she liked them both very much. Ate hamburgers and gumbo there. Gumbo is beyond wonderful. A little crowded because many people go for lunch - but it is worth whatever wait you have to endure. A+ on everything I&apos;ve eaten there. Love it. For more delicious restaurants options, visit www.visitlakecharles.org/restaurants. Elizabeth Eustis grew up in Elmer, La and moved to Lake Charles to study at McNeese State University. Elizabeth enjoys sharing the culture of Southwest Louisiana with all who visit. Watch out, her smile and laugh are contagious! Elizabeth enjoys trying new activities and foods and makes sure to document all of her adventures on social media! Follow her on Twitter and Instagram @Whisafaye.